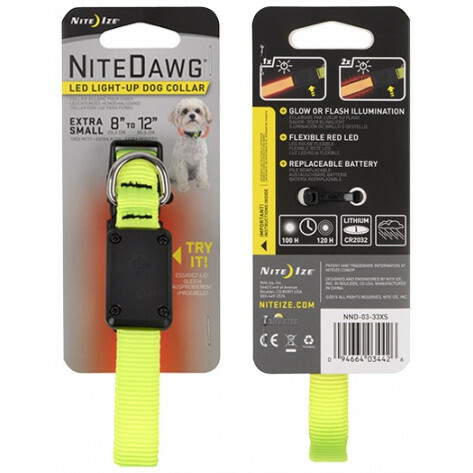 The Nite Ize Nitedawg LED Safety Dog Collar will help you keep track of your dog at night. 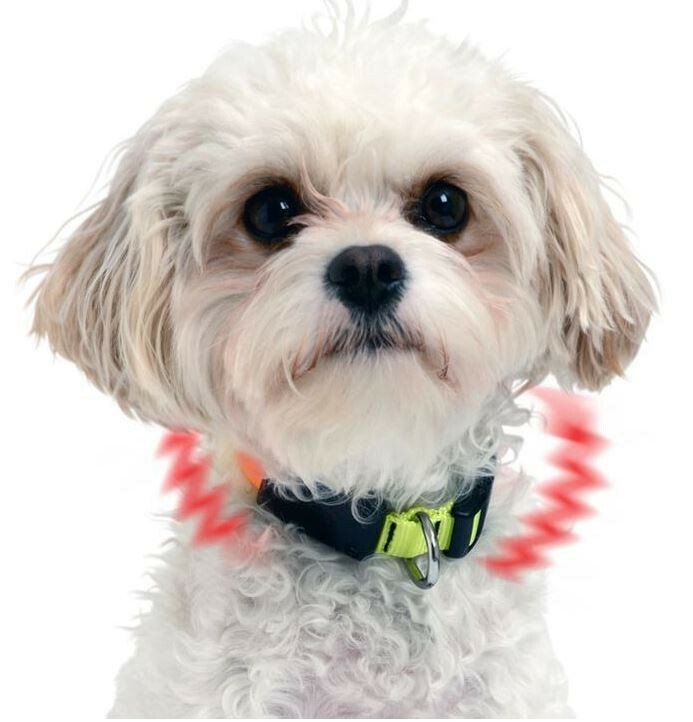 The bright red LED illuminates a full ring around your dog's neck and can be set to glow or flash modes to keep your furry friend seen and safe. 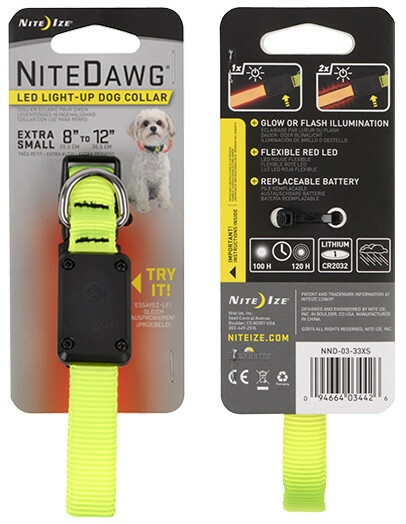 For all of you dog owners to keep track of your favourite buddy day and night, the high-visibility Nite Dawg LED Collar features a bright red LED that illuminates fully around your dog's neck. 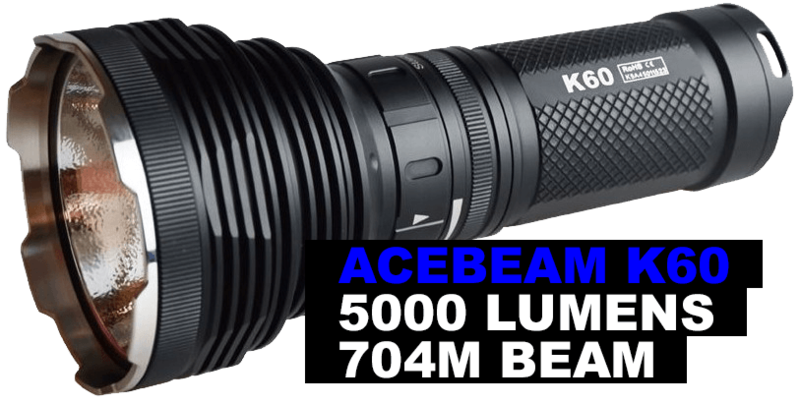 The LED is visible up to 1000 ft, and can be set to glow or flash modes with the press of a button. Made of high-quality nylon, this lightweight, durable collar is also highly water resistant for the water-bowl-splashers and the dogs who just can't resist jumping in every body of water they see. If those features weren't enough, this collar has easily replaceable batteries that can run for up to 100 hours at a time.